In celebration of our 25th anniversary, we are proud to join The Henry Clay Center for Statesmanship in their commitment to educating the next generation of our nation's leaders. The Center continues to champion this goal by exposing Kentucky's youth and future leaders to the profound legacy of the great statesman Henry Clay; a legacy of compromise, of negotiation and of dialogue. In today's ever-changing political climate, both at home and abroad, The Center strives to bring an enlightened and balanced approach to the problems of the modern world by cultivating a culture of meaningful discourse. As the primary sponsor of The Henry Clay Center Student Reception, we are honored to help recognize the exceptional students who attended The Center's 2016 Student Congress. Through this program, select students from around the nation gained skills in leadership and debate that will serve for the entirety of their lives. We are very proud to be able to play a small part. 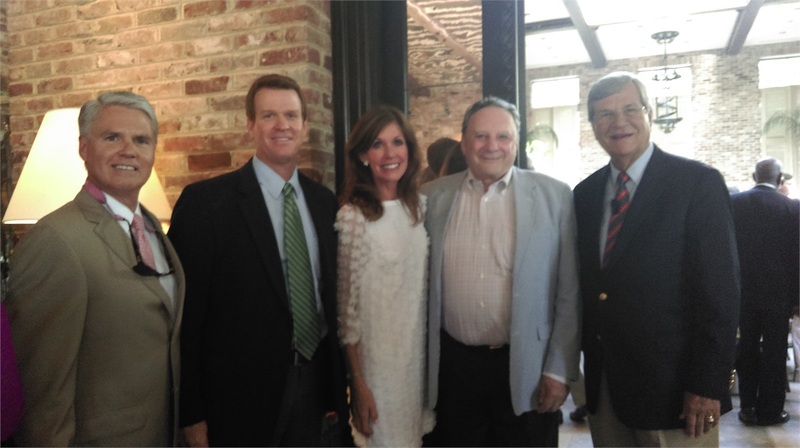 RCM advisors David Dowell, Ford Lankford and Jack Russell pictured below with Senator Trent Lott (far right) at the Henry Clay Center Student Reception.